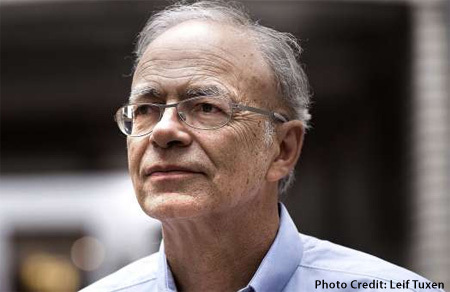 This week on Tall Poppies, The Podcast: Peter Singer, renowned ethical and political philosopher. Other publications include several books, among them, Practical Ethics, Rethinking Life and Death: The Collapse of Our Traditional Ethics, and The Life You Can Save: Acting Now to End World Poverty. But perhaps he is best known for his 1975 book, Animal Liberation, A New Ethics for Our Treatment of Animals. Its publication greatly contributed to the growth of the animal rights movement by calling attention to the routine torture and abuse of countless animals in factory farms and in the course of scientific research. At the same time, it generated significant new interest among ethical philosophers in the moral treatment of non-human animals. (Photo: Alletta Vaandering).